When it comes to websites, Search Engine Optimization is the Holy Grail of strategies to ace. If you want to be found by any search engine, your SEO has to be good enough to attract their attention, and if you want to get to the first page, your SEO has to be stellar. Here are 5 quick ways to tell if your SEO is working for your small business. Your Page Rank is the fastest and simplest way to tell if your SEO is working. The higher the page number, the worse your SEO is. Most of this data can be found inside of your Google Search Console. If you don’t land on page 1, or maybe 2, for your keyword terms, it’s going to be pretty difficult for your customer to find you with an organic search. You have to think of searching from the user perspective. If you’re looking for pizza, you’re likely going to type in “pizza (your location)” and the first few that come up are what you’re going to click on. Organic Traffic to your website is one of the key metrics to track and a great indicator of how well your SEO is doing. The more organic traffic you are getting (versus paid traffic through digital ads) the better your SEO performing. If you’re getting very little organic traffic, it is possible you’ve done something with your SEO that the search engines don’t like, and they aren’t ranking you higher than your competition. So you want to measure your organic traffic (typically by using Google Analytics) so you know where you stand. If you have little to no organic traffic…it may be time to assess that. Unique Visitors are also something to check when you take a look at your traffic numbers. They’re important because they tell you how many individuals are seeing your website. Let’s face it, it’s way better to have 1000 different visitors looking at what you have to offer, than it is to have one visitor looking at your website 1000 times. Naturally, the more unique visitors you have, the better your SEO is working for your business and the higher the chance that one of those visitors may convert into a customer. This isn’t to say that returning visitors aren’t important, because they are, but unique visitors will give you an insight directly correlated to your SEO. Bounce Rate tells you how often someone comes to your site and then leaves without looking at any other pages. If you have a high bounce rate, it means that the person coming to your site isn’t finding what they want from the search they did. For example, if the person searched “pizza Calgary” but it brought them to a page in Ontario…that would have a high bounce rate because the visitor is being directed to a non-relevant page. High bounce rate typically tells you that you need to assess what’s going on with your SEO. Keyword Research. This is one of the most important tools for your SEO, and getting found by your prospective clients. Doing in-depth keyword research to understand what your potential customer is searching to find companies or services like yours is important. Selecting the wrong keywords or not ranking for the right ones can have a large impact on your success with SEO. You want to try and focus on finding keywords that have a lower competition but still a reasonable number of searches every month. Many marketers try and focus on a larger number of low competition/lower impression keywords to make up a higher volume. Basically, the more impressions you can get from relevante keywords the better. Using a tool like Google Keyword Tool insight your Google Adwords dashboard will help you greatly! We’d be happy to guide you through the steps you need to take to get your SEO working for you. 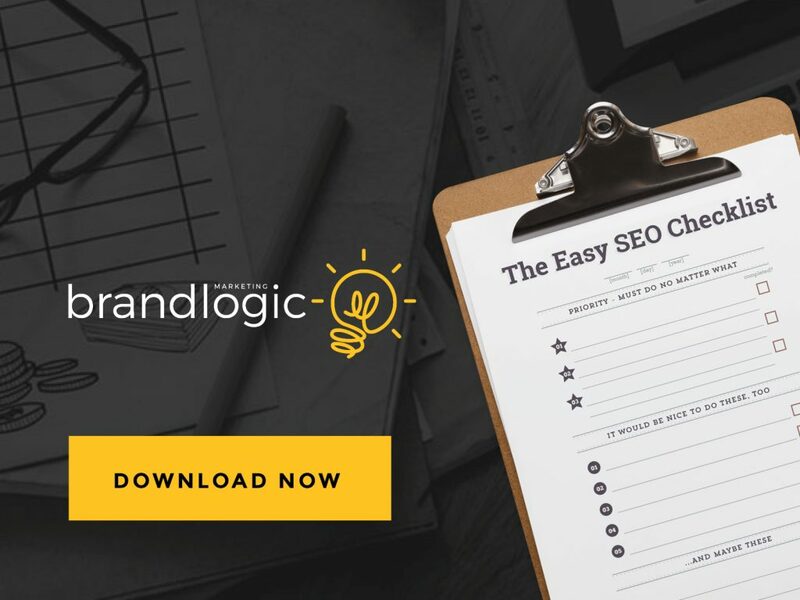 Just download our Easy SEO Checklist. It’s FREE! And with it, you can check off everything you need to do to get your website search engine optimized.